Set the stage for learning and discover the legend behind this story-driven approach and accelerate the process of learning to read. Explore phonics and building vocabulary like never before! Find five secret letters hidden in the forest and children begin to build confidence. The animals in Africa are protecting eight secret letters and are waiting to be found! Children are excited to read with music and animals! Pre-school and kindergarten children love learning with the animals in the Pride! At the end of the book, children apply what they’ve learned to activate all 26 letters in the alphabet. When children match each animal with its own secret letter, the animals in the Sunmoona Pride reunite! 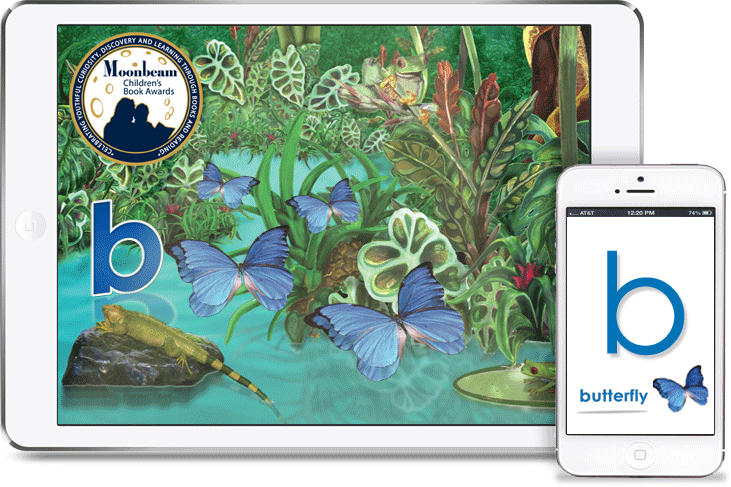 When they finish the book, what young readers really love is that they become an official Animal Ambassador and receive their personalized Animal Ambassador Certificate. Get the Entire iKnow™ Series and More! You’ll find exclusive bundle deals on the entire iKnow™ Series of books and more! Shop the iKnow™ Store Now!